The Clomiphene Citrate Challenge Test (CCCT) is used to determine if a woman has a good ovarian reserve, or egg supply. This can be crucial to fertility. The fertility drug clomiphene citrate (Clomid, Milophene, Serophene) is a pill that’s taken orally to induce ovulation, the process of egg maturation and the release of more than one egg in every cycle. Multiple eggs increase the chances of fertilization and pregnancy. 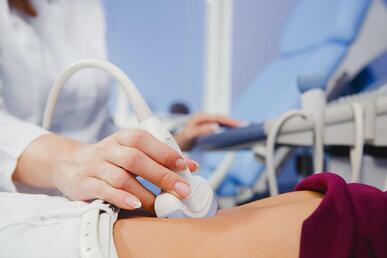 Your fertility specialist monitors the effect of this medication on the ovaries using an ultrasound. Clomiphene citrate is also used to regulate ovulation in a woman prior to intrauterine insemination or artificial insemination and to treat low sperm counts in men. The CCCT measures a number of different hormones involved in the ovulation process, including FSH (follicle stimulating hormone), LH (luteinizing hormone) and estradiol. The CCCT is administered over several days. Patients are asked to call the clinic on Day 1 of their period to set up an appointment. On Day 3, they are given a blood test to measure the levels of FSH, LH and estradiol. On Day 5, they begin a 5-day course of clomiphene citrate. On Day 10, they return to the clinic for another FSH/LH/estradiol blood test. Test results are usually available within a few days. Your fertility specialist will review them with you and your partner. Contact us for more information about CCCT.